It is with great honour that the Sri Lankan Association of Geneva (Association) informs you that the Executive Committee of the Association (EXCO) for the year 2016/2017 was appointed by the members, at the Annual General Assembly held on 23 April 2016. 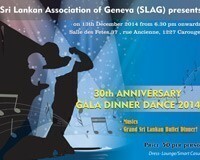 The Sri Lankan Association in Geneva ( SLAG) will be bidding goodbye to 2015 and heralding the brand New Year 2016 on Saturday, 16 January 2016. SLAG as the leading forum to promote cultural and social ties amongst our Sri Lankan community in Geneva have been organizing an year end party during the festive season in end December. This year though, we will have it in early January 2016 and its called The SRI LANKAN NIGHT! 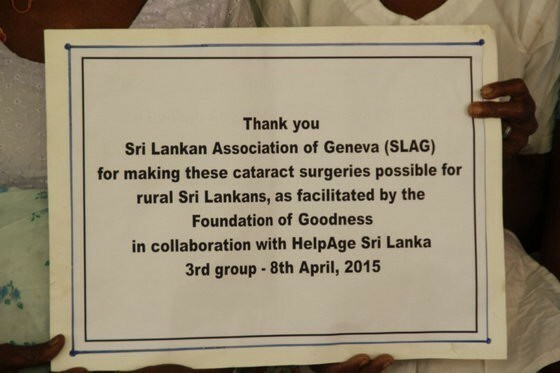 The Foundation of Goodness, in association with Help Age, has had the wonderful opportunity to facilitate cataract surgeries for rural and impoverished beneficiaries on behalf of the Sri Lanka Association in Geneva. It is that time of the year that Sri Lanka heralds the New Year. The Sri Lankan Association in Geneva ( SLAG) will be celebrating the Sri Lankan New Year (though a bit belated) on Saturday, 16 May 2015. SLAG as the leading forum to promote cultural and social ties amongst our Sri Lankan community in Geneva have put together an event not to be missed. This will also be an ideal opportunity to showcase our unity and harmony within our Sri Lankan community. This year’s event will feature several cultural items performed by our own sons and daughters spiced with exciting competitions and scintillating music to keep you on your toes. The Sri Lankan buffet with mouth- watering dishes along with the traditional festive delicacies will be simply yummy! We look forward to your participation at this event and you are encouraged to bring your friends along with you as this will be an enjoyable evening. Come experience something truly Sri Lankan! 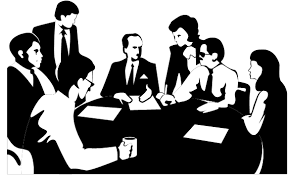 It is with great honour that the Sri Lankan Association of Geneva (Association) informs you that the Executive Committee of the Association (EXCO) for the year 2015/2016 was appointed by the members, at the Annual General Assembly held on 22 March 2015. It is with great pleasure that we bring to your attention that our Association is due to celebrate 30 years of existence this year. During these three decades SLAG has served it’s mandate being the foremost organization in Geneva bringing together Sri Lankans irrespective of race, religion, class or creed! SLAG was and still is the leading forum for promoting cultural and social ties among the Sri Lankan community in Geneva. It is Summer time! And it’s time for our Summer Picnic! This time around we want to make this the ‘Family outing’ , the way it used to be in the good old days! The event this year will have action for the whole family! Many ‘fun games’ are organized along with the regular ‘soft ball’ Cricket tournament. The difference this year will be that it is not only Cricket that will be the main attraction but other activities and competitions as well. Table tennis, Tug-a-War, Lime and spoon race, three legged race, musical chairs, Fancy dress and many more competitions with prizes and surprises are in store for you! This is solely done with the intention of attracting all the Members of our Association. Yes, we look forward to entertaining the entire family , young and old , male and female! After all, it is ‘family picnic’! The usual BBQ will be dished out with soft drinks FREE OF CHARGE! You are cordially invited to participate in our annual New Year’s celebrations which will be held on Saturday, 29 March 2014. As we strive to build a Sri Lankan identity this would be an ideal event to showcase our unity and harmony. This year’s event will feature several cultural items spiced with exciting competitions and scintillating music to keep you on your toes. We look forward to your participation at this event and you are encouraged to bring your friends along with you as this will be an enjoyable evening. Come experience something truly Sri Lankan! It is with great honour that The Sri Lankan Association of Geneva (Association) informs you that the Executive Committee of the Association for the year 2014/2015 was appointed by the members, at the Annual General Assembly held on 16 February 2014. Place: Bellevue ORPC Valavran-Bellevue, route de Valavran 31, 1293 Bellevue.